This issue is not unique to Sara, but is experienced by a large quantity of iPhone users. 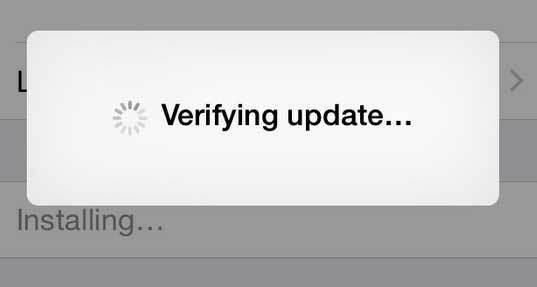 However, it's not that there's a problem when this "Verifying update" prompt comes up. It actually takes a few minutes to connect to Apple's servers and the process of verifying update may take longer if you do it after an iOS's new release. Fact is that plenty of iOS users updating the software at the same time inevitably cause delays. Notably, it's your time to pay much attention to iPhone stuck on verifying update issue when the verification goes on for 15 minutes and doesn't end. Undoubtedly, it is not unrealistic to make an update every time by using cellular data and more time will be spent if your iPhone is not connected to a stable, good and reliable WIFI network during the software update. 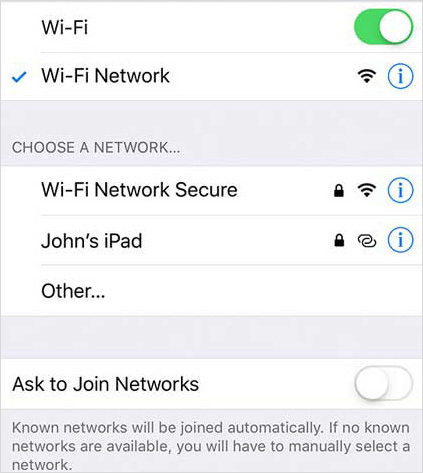 As a result, please firstly go to "Settings" > "WLAN" on your iPhone to check whether you have connected to a good WIFI network. Or you can change another one to try to get out of iPhone verifying update error. If your iPhone has been charged fully and already connected to a stable network, you can now get ready to use one of the easiest methods here. It requires you to make the most use of the "Power" button. Let's see how to operate. Step 3: Repeat to lock and wake your iPhone for 5-10 times until iPhone update finishes verification. Sometimes, it is a software crash that leads to iPhone stuck on verifying update issue. Then it can be a must for you to hard reset/force restart/hard reboot your iPhone. This is factually a straightforward and simple solution, which is provided by iPhone users on Apple Discussion who have fixed the problem efficiently in this way. 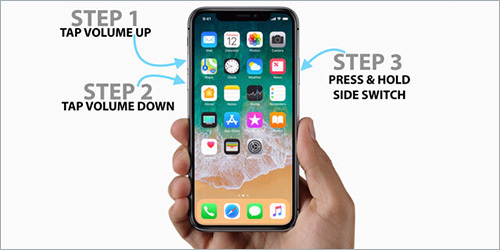 For iPhone 8 and later: Quickly press and release the "Volume Up" and "Volume Down" buttons in turn; hold the "Side" button to wait for Apple logo. For iPhone 7/7 Plus: Press and hold both "Side" and "Volume Down" buttons at the same time; release them until the Apple logo shows. For iPhone 6 and older: Keep holding the Top/Side button and the "Home" button until you can see the Apple logo appearing on iPhone screen. What are likely to cause iPhone won't verify update is your network settings. It maybe be out of date so you'd better make a refresh. 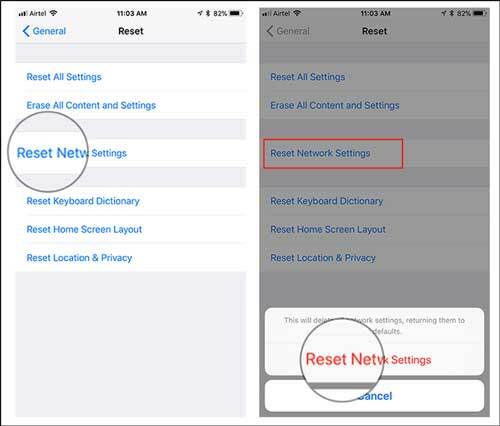 To do it, just go forward to reset networking settings on iPhone. No worries. It will not erase your data. Now, go for "Settings" > "General" > "Reset" > "Reset Network Settings". Step 3: Having deleted iOS update, go to "Settings" > "General" > "Software Update" to download update again. As long as there is no iTunes stuck on verifying updated iPhone software problem, you can get another chance to update iPhone with its help. It can effectively bypass iPhone update verifying issue. Here's how. Step 3: Tap on "Download and Update" and wait for iTunes' installing iOS software for you. When it comes to iPhone stuck on verifying update, the most recommended solution is to take advantage of one 3rd-party iOS system recovery. If the above methods cannot work for you, you might as well apply Joyoshare UltFix here. 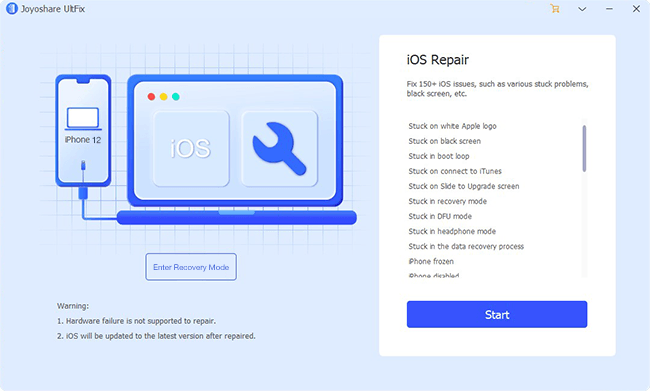 This mighty and well-liked iOS repair tool is able to fix iPhone won't update, iPhone stuck on verifying update, iPhone won't restore, iPhone won't charge, iPhone no service, iPhone stuck in boot loop, white screen, black screen, etc. with no data loss. Its one-click free enter/exit Recovery Mode option even brings great convenience for both unregistered and registered users. 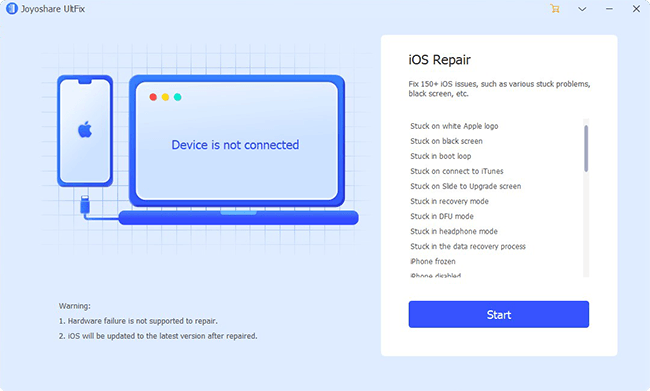 Get Joyoshare UltFix iOS System Recovery launched and continue to connect iPhone to the computer. Simply hit the "Start" button. Go ahead to tap on the "Standard Mode" to have it selected. Then click on the "Next" button to boot your iPhone into DFU/Recovery Mode. You can do it in the main interface with this program's free one-click enter/exit Recovery Mode option. 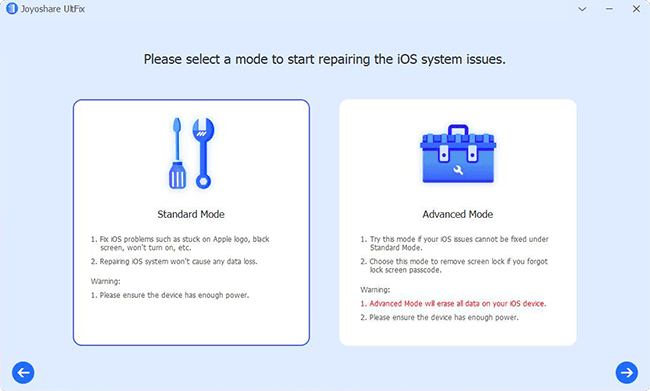 This iPhone repair software will function to show your iPhone device info. 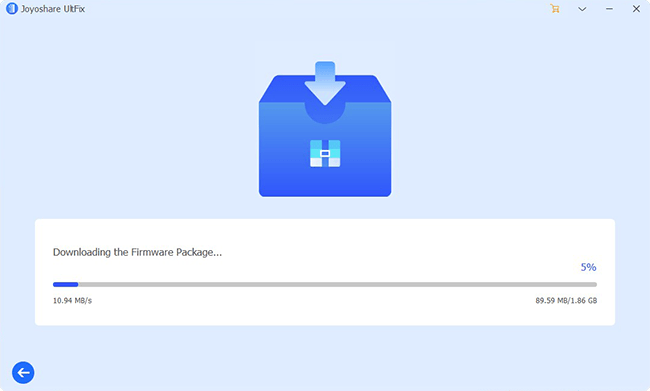 Confirm it and process to download and verify the firmware package with one simple "Download" button. 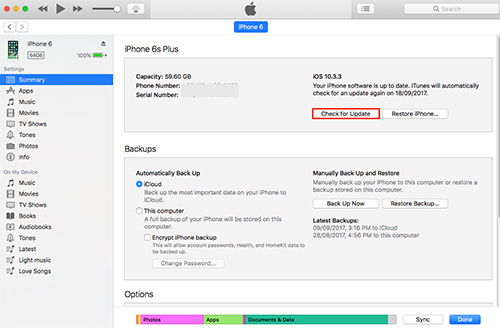 In order to unzip the downloaded firmware package and fix the iPhone verifying update issue, you have to confirm the "Repair" option. Get it done to repair your iPhone back to normal. 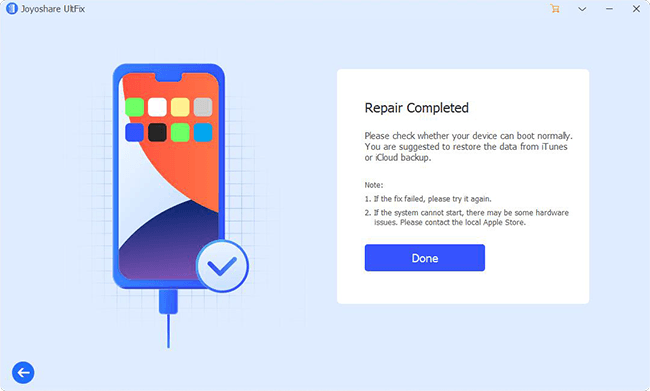 With the exception of the mentioned 7 solutions above, you can also give a try to restore iPhone with iTunes or factory reset iPhone. 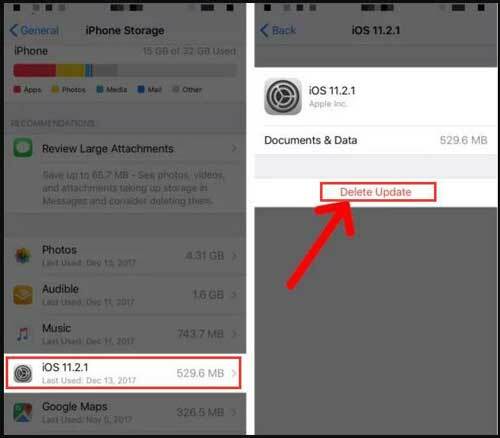 These two approaches sometimes work to fix iPhone stuck on verifying update issue, however, iPhone data will be wiped unluckily. To recommend, Joyoshare UltFix iOS System Recovery is a good option to fix all software issues. Nevertheless, for a hardware issue, you should ask Apple store for help.